* 9 convex mirror bubbles surrounded by flat reflections of all that is seeable. 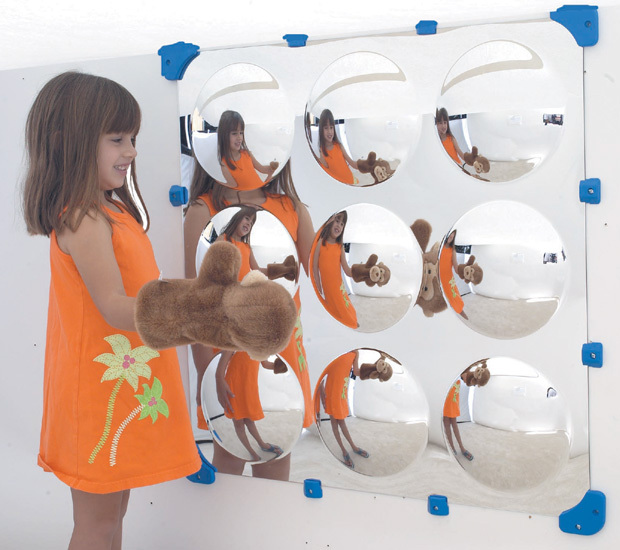 * Shatter resistant acrylic surfaces mirror all ocular input. * Our new polyethylene fittings attach to flat surfaces. * Dimensions: 32" x 32"
34.25" x 34.25" x 4"